Every week Brenda sets us a task of writing on a theme. This weeks' theme is about: EXTREMES. Specifically, what extremes would you be willing to go forward with for your loved ones? While I am not Buddhist, I do think the philosophy is correct in regards to the need to keep to the middle path. I generally try to avoid extremes whenever possible because they rarely contain the correct choices. One only has to look at politics to understand this concept. Choices made on the extreme are usually emotionally driven rather than by rational thought. I have more examples in my life of where impulsive decisions were incorrect than carefully considered ones were proven to be poor choices. 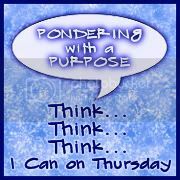 With these thoughts in mind, I will endeavor to answer Brenda's pondering challenge. One of Brenda's questions was would I give up my life for one of my children? Once again, here is an example of where extreme could lead to a poor choice. The obvious answer would be 'yes' but would it be the right choice? For instance, in my case, I have three children. If I gave my life for one, would all of my children be put into a position where they would suffer greatly as a result? I love my children but is it better to be there for the living ones than there for a dead one? If all three suffer because I saved one and left them; is that really the correct choice? This is a choice I hope no parent ever has to make but an example of where an extreme choice could lead to increased suffering rather than alleviation. Moderation is one of the keys to a successful life. It generally leads to one making better choices and thus leads to less situations where the consequences of ones actions is harmful. Does that mean, I never make extreme decisions? The answer, of course, is no but they are calculated risks. When I engage in behaviors that others may view as extreme it is because I have considered this a time when it was necessary in order to do so for the greater good. For instance, I abhor violence but I would have volunteered to fight in WWII. Some things are greater than you. Being moderate means sometimes having to go to the extremes so that you know where the middle path remains. Otherwise you will be extremely moderate and that in itself is a wrong as well. The real question is when to take these calculated risks? This brings me back to the question of family and extreme choices. Yes, I would sacrifice a great deal for my family but it has to be in their best interest to do so. There are times when I say no because the lesson and/or situation would either harm the others to a greater extent or that by my coming rescue the individual will not learn to be independent or make their own good choices. I love my children enough to say 'no' at times. I guess you can call that extreme if you would like. My thinking is that Meat Loaf had it right, "I would do anything for love but I won't do that." That would be just too extreme.